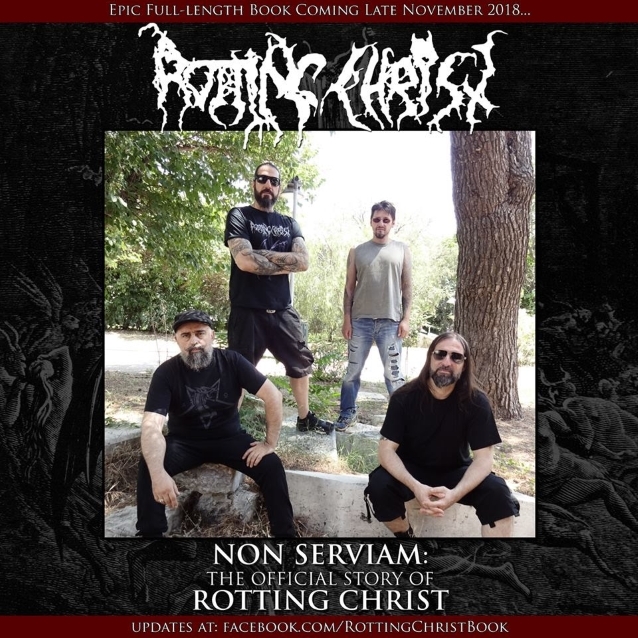 "Non Serviam: The Official Story Of Rotting Christ", a full-length book created by ROTTING CHRIST frontman Sakis Tolis and Dayal Patterson (author of "Black Metal: Evolution Of The Cult", "The Cult Never Dies Vol. 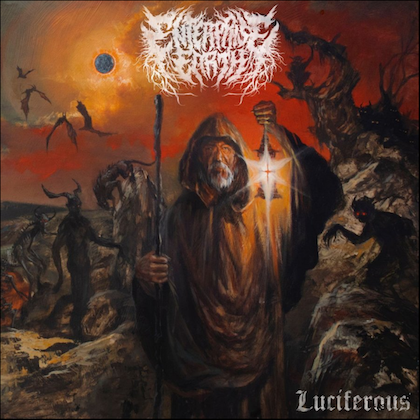 One" and "Into The Abyss"), will be released in late November via Cult Never Dies. The book will contain extensive interviews with Themis Tolis, Jim Mutilator, Morbid, George Tolias, George Emmanuel and members of other bands, including WATAIN, MAYHEM, ENSLAVED, MOONSPELL, BLASPHEMY, MYSTIFIER, SEPTICFLESH, BEHEMOTH, MACABRE OMEN and IMMOLATION. ROTTING CHRIST recently entered the studio to begin recording its brand new album, to be released in early 2019 via Season Of Mist. 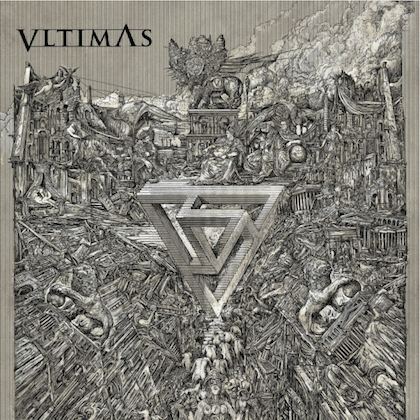 The disc is being produced by vocalist Sakis Tolis. Jens Borgen (AMON AMARTH, KREATOR, DIMMU BORGIR, OPETH, KATATONIA) will again take on the job of mixing and mastering. 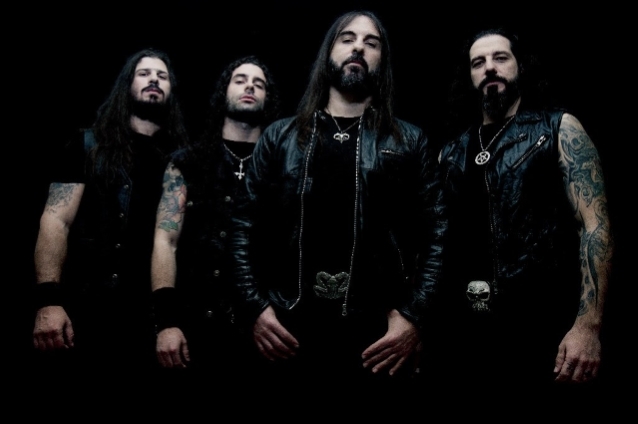 ROTTING CHRIST's "Their Greatest Spells" was released in March via Season Of Mist. 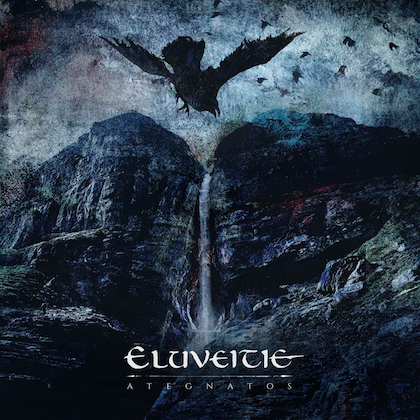 This double-CD compilation features a best-of selection approved by Tolis as well as the new track "I Will Not Serve".